As you step into the Island of Sri Lanka seeking for an unforgettable journey, be surprised with what this dainty Island has to offer you. Irrespective of what time of the year you plan your vacation, be contented with indulgences you never knew existed on this Island. Embrace the charming nature while treating your family with a luxurious vacation. Whether you are here on a family vacation, romantic travel or a business meeting, expect the finest to serve you. With us, plan the most exciting tour ever! Experience is what has made us perfect. Experience the endless golden sandy beaches. Learn more about the vivid culture and their unique traditions which bind the multi-nations. Be thrilled and feel adventurous at the wild life safari camps. Spend a momentous vacation with the best services throughout! Let us know your preferences and tailor make the best holiday tour packages ever. Pearl Lanka helps all our tourists to transform their fantasies to reality. This tropical paradise is enriched with blessings of the incomparable nature. The beauty of the coast shores in Negombo, Hikkaduwa, Unawatuna, Arugam Bay and Galle reach beyond expectations. As you drive to the hills, witness the miraculous atmosphere to your naked eye. The hills, nature trails, beautiful long water falls, tallest trees and the soothing climate will drift you away to a land of fantasies. Explore the wilderness at Yala, Wilpattu or Udawalawe wild life sanctuaries as you experience a unique thrill and excitement. 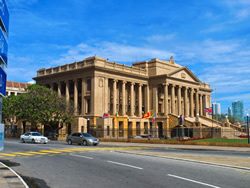 Visit the cultural and historical sites of Sri Lanka which let you learn more about the ancient past, their kingdoms and ruins, ancestors and traditional healing system of Ayurveda. We take the ultimate responsibility of a guaranteed vacation to all our guests. It’s our duty to ensure your safety and satisfaction in our guidance. As a well experienced travel associate, we offer all our customers with exclusive services. Tailor making tour plans based on your preferences and our experiences, 24 hour support and assistance, transparency and safety during your stay would be guaranteed. We are ever prepared in going that extra mile to make your vacation a success. Entire tour was chilling and words cannot express our contentment. All the family members enjoyed and the services were excellent. Our trip wouldn’t have been this successful without your extended support throughout. Wishing you all the best! Spend an entire joyful and relaxing vacation with us. This tour is designed ideally for those who are looking for a short period of stay. As you step into Negombo witness the biggest fishing port and the beautiful beaches. Having enjoyed the freshest sea foods drive to Colombo city where a bunch of entertainment awaits. High end shopping, fine dining and temple visits are some of the many interesting things to do. As you will be transferred to Kandy next, make this an opportunity to learn about the Kandian culture which is one of the most vital out of all as you pay a visit to the Temple of the Tooth of Sri Lanka. What more could anyone possibly want than a contented vacation? This vacation will not just bring you contentment but excitement and chill throughout. Spend a relaxed time at the Negombo beach, visit one of the most popular temples in Sri Lanka, the Dambulla Cave Temple. Kandy being the royal city stands in pride in terms of its unshaken traditional customs and beliefs throughout. Explore through the tea trails as you admire the hill country nature at its best in Nuwara Eliya. Architecture in Galle fort influenced by the Dutch has been a top rated attraction by most tourists. Believe in what you can do and see how you live your dream. 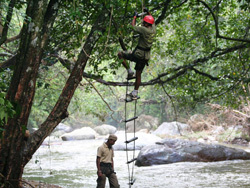 This tour covers captivating places of interest around Sri Lanka. 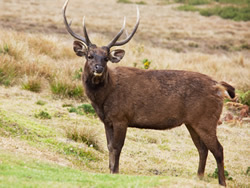 Minneriya National Park which is mixed with evergreen forest and shrubs has been home to many stray animals. Temples in Polonnaruwa narrate their history behind the ancient kingdom to all tourists polishing their knowledge about Sri Lankan history. Tea plantations, scenic hill country back drops, golf club, horse riding are bit out of many excursions at Nuwara Eliya. 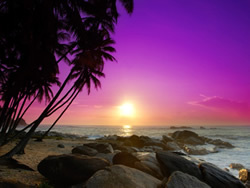 Rest and relax at two of the best beaches in Sri Lanka; Negombo and Hikkaduwa feeling relieved. This would be the perfect vacation for a memorable getaway with your family. Let the colorful beaches with the soothing wind embrace you with a warm welcome. Relax on the beach while taking part in beach games. Evening BBQs are a must to experience. As you cover attractive places as Sigiriya, Dambulla and Kandy, witness the great cave temples, statues, frescoes, royal palace of Kandy and the Buddhist culture with traditions bound. In this season, take your time off to relax and rest with family and friends. Visit Sigiriya which narrates the tale of King Kashyapa who fled post killing his father and constructed his imaginary masterpiece called "Sigiriya". Ancient kingdom with ruins and remains lets you add more historical value to your trip. 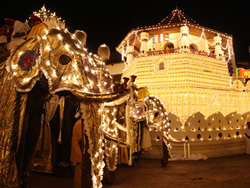 The very famous Temple of the Tooth in Kandy would be your next stop where you can learn about the traditions and customs highlighting the Buddhist culture. 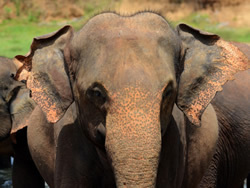 Tour will conclude visiting the heart-warming Elephant Orphanage in Pinnawala. Feel privileged caring and nursing them before you leave. 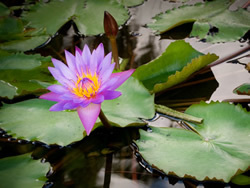 This tour package is designed ideally for those who are seeking for a lengthy stay in Sri Lanka. 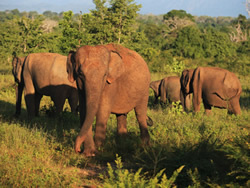 Visit Wilpattu National Park which is one of the largest in Sri Lanka and possess more than sixty lakes and tanks. At Anuradhapura witness the tall statue of Lord Buddha called "Aukana" which is 40 feet high. Nurse and care for the orphan baby elephants at Pinnawala. 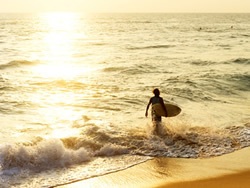 Arugambay is one of the best beaches which is un-spoilt and pristine which has been an attraction to many holidaymakers. Other interesting cities and places covered by this tour are Horton Plains, Galle, Colombo, Pottuvil, Sigiriya, Polonnaruwa, Dambulla and Kandy. Learn all about Negombo fishing culture as you take a ride in a catamaran. Capture these unforgettable moments. Enjoy the finest and freshest sea food dishes prepared just for you. Love and care for those orphan elephants as you stop by their orphanage. Closely observe the retained ancient aspects in the historical sites as Dambulla, Sigiriya, Polonnaruwa and Kandy. Embrace the cold and soothing breeze bidding you welcome. Tea trails, tea factories, botanical gardens, waterfalls, strawberry fields, golf course and horse riding are some of many interests at Nuwara Eliya. Yala jeep safari adds more excitement to your wild life tour throughout. Way back relax at Bentota beach famous for its mouth-watering sea food dishes and beach entertainment. Don't miss this great opportunity to witness the heritages sites with abundant historical value and beliefs. 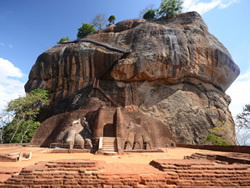 As you explore the tales of these ancient kingdoms enjoy this opportunity to visit the greatest temples of Sri Lanka. Capture wild animals as you ride in the jeep safari around the national park. Volunteer in any activity to assist nursing the orphan elephants at the orphanage. Way back, relax and rest at the Unawatuna beach while observing the popular coral reefs which are finest of its kind. From bountiful beaches and waterfalls surrounded by warm beach hospitality, wild and exotic adventurous experience, cold and cuddly nights to just bed and breakfast with romance all over; our honeymoon packages cover all of it and it is your call to make the best choice. Yala renowned best for its high leopard population above any part of the world draws the attention of many tourists from around the world. The parks which consist of five blocks serve you as the second largest national park in Sri Lanka. Capture various endemic wild animals as you ride into the wilderness. Meet the Lords of the jungle; Leopards on and off as they check in their visitors. Camping at the site - tourists will be offered their own individual tent with separate toilet, shower and other required facilities. Some thoughtful facilities in the package include, jeep safari (maximum twice a day), Unlimited local beer, Local and foreign liquor, Pre-dinner cocktail, Bottle of wine per tent for dinner and tea/coffee. As you step in to a paradise like Island, feel the warmth of the exclusive hospitality you will be offered throughout. Unlike any other, this tour will provide the rare opportunity of discovering and exploring the best of the unrevealed nature as well as letting everyone improve individual capabilities to an unbelievable extent. The adventure, the amusement, the extra thrill and excitement, never ending enthusiasm and entertainment are all packaged together to keep you satisfied throughout. With a variety of tour destinations that drift your mood time to time will expose you to an experience like never before.